Visiting another country involves immersing yourself in a new culture, trying out local delicacies, and discovering hidden spots that aren’t part of the usual travel itinerary. Kuala Lumpur, one of the go-to destinations of those who want to explore the wonders of Asia, is a city that boasts of towering skyscrapers, shopping haunts, and a few secret spots that will surely delight visitors. During a recent trip to the bustling city, I was able to come across one of its gems—a rustic-industrial events venue that can be anyone’s home and design peg. 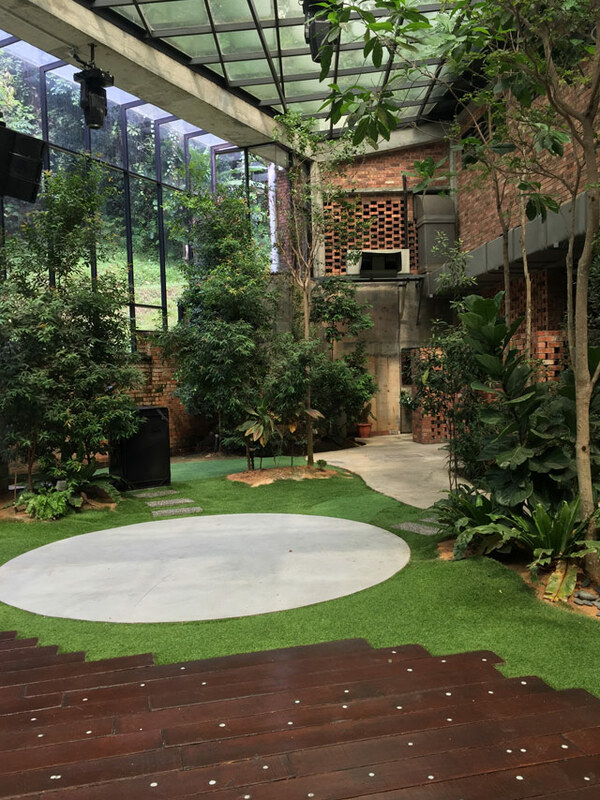 The Glasshouse at Seputeh, as the name suggests, is an events place that features tall glass windows, a glass roof, brick walls, cement finishes, and lush greenery. Adding to its enchanting appeal is its prime location—though The Glasshouse is surrounded by different plants and trees that add to its dreamlike appeal, it’s also accessible to hotels and shopping centers. Concrete steps lead to the lawn—an open space with reclaimed wood flooring, grass, and brick walls. Bathed in natural light by day, the space transforms into a captivating sight by night—as guests can marvel at the stars—thanks to the glass roof. The Glasshouse has become a go-to venue for weddings, parties, and corporate events. It’s flexible enough to be transformed into a beautiful setting that matches different concepts and themes. Though the bricks and cement walls seem too stiff, the right lighting, décor, and tablescapes can do wonders. Those who long for an intimate setting may look into The Grand Court or The Parlour—roomy areas that highlight glass windows and cement flooring. Like a blank canvas, clients have the luxury of sprucing it up or keeping it as is for a minimalist setup. Those who chose to hold events in The Glasshouse take it a notch higher by opting for décor pieces that wow. Given the spacious area, one can go all out with lampposts and stunning accent pieces that complement the indoor trees. If you wish to have a house that takes inspiration from The Glasshouse, consult with a design professional to see how you can incorporate glass, wood, and cement walls into the final look. When combined, these three elements can help you achieve a homey, inviting aesthetic. Keep it from looking too raw and masculine by bringing in plants, lighting pieces, and must-haves that add a punch of personality to the space. 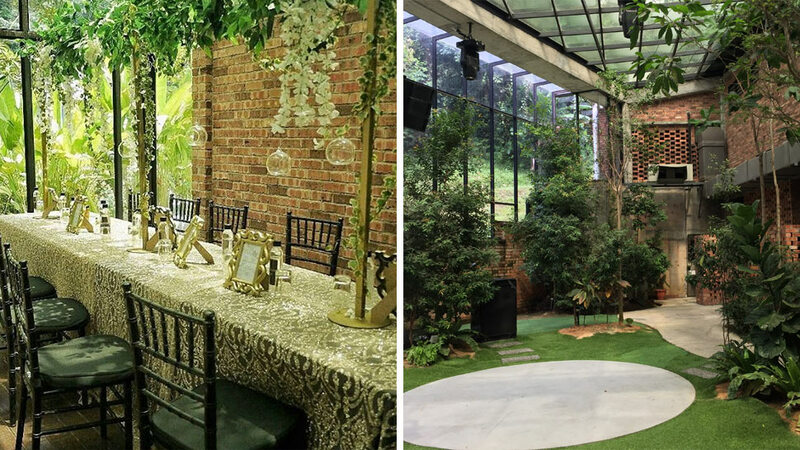 The Glasshouse at Seputeh is the event location for Dyson's Pure Cool event held last April 2018. To learn more about The Glasshouse, visit their website or follow them on Facebook and Instagram.